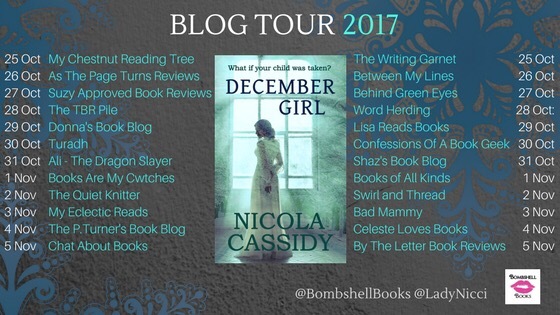 Today I’m thrilled to be opening the blog tour for December Girl by Nicola Cassidy alongside the lovely Kaisha at The Writing Garnet. A huge thanks to Sarah Hardy for inviting me. Molly Thomas is a feisty, independent soul, born on the Winter Solstice. At every stage of her life she has faced troubles. As a young woman her family are evicted from their home at Christmas. Molly swears vengeance on the jealous neighbour and land agent responsible, Flann Montgomery. Then in 1896 her baby son is taken from his pram. Molly searches the streets for Oliver. The police are called but her baby is gone. Why does trouble seem to follow Molly? And will she ever find out what happened to her child? December Girl is a tale of family bonds, love, revenge and murder. The opening passages of December Girl set the tone for this sumptuous historical drama, as it introduces the stones that come to play a huge part in the life of Molly Thomas, the December Girl of the title. When we first meet Molly, she is already struggling with things that have happened in her past so the loss of her baby son seems a cruel twist of fate to one who has suffered so much already. And the disappearance of baby Oliver is about to change Molly’s life forever. After such a dramatic and “goosebump inducing” start to this book, I actually found myself a little lost as the author takes us back to the past, introducing characters and events that have shaped the woman who is Oliver’s mother. It wasn’t until Part II that things seemed to come together for me and I found myself so caught up in Molly’s life that I couldn’t let her go and so read the rest of the book in one emotionally draining session. I found myself moved far more than I had been expecting by the developments that occurred and I became almost obsessed with wanting to find out what was going to happen, whilst desperately hoping for the happy ever after that Molly deserved. But what I loved more than anything about December Girl was that it surprised me. It didn’t follow the path I was expecting but instead twisted and turned, shocking me with certain events that happened so that I never knew which direction the drama would take next. I loved the sense of time and place the author brought to her gripping narrative but most of all I loved Molly. She was a woman ahead of her time with her quiet determination and courage in the face of all she endured. And I really couldn’t bear to let her go at the end. This is a fabulous debut from natural storyteller Nicola Cassidy! She has obviously worked hard to develop the book she wanted to write with a cleverly crafted and well researched storyline. Highly recommended by me! December Girl is published by Bombshell Books on 26th October 2017 and can be purchased from Amazon UK (affiliates link). My review copy was provided by the publisher. 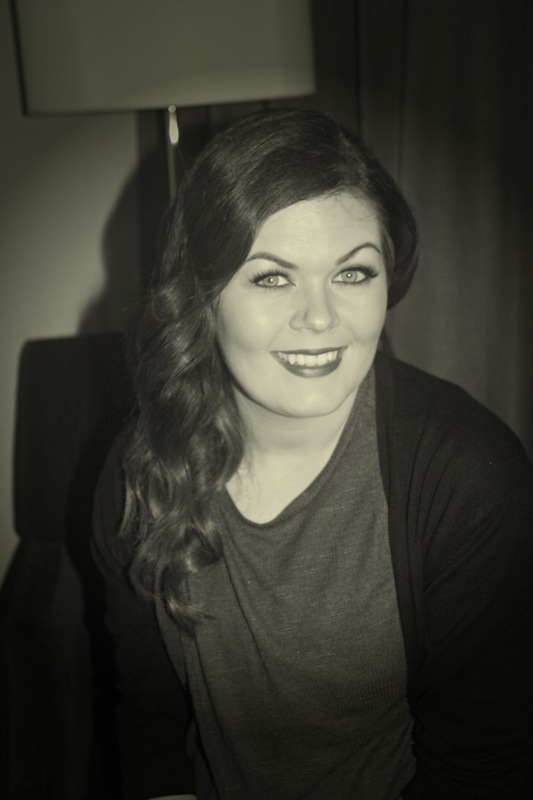 Nicola Cassidy is a writer and blogger from Co. Louth, Ireland. She started her writing career early, entering short story competitions, penning protest letters to magazines and making up characters in her head. These scribblings saw her place in a number of competitions as a child and encouraged by her English teachers, she chose to study journalism at Dublin City University. While working in political PR and marketing, Nicola studied a series of advanced creative writing courses at the Irish Writers’ Centre and set up a lifestyle and literary blog at http://www.LadyNicci.com, which was nominated in the Ireland Blog Awards in 2015 and 2016. During her maternity leave for her first daughter, Nicola set about researching and writing a historical fiction novel, December Girl, inspired by true events and set in the mystical and ancient Boyne Valley, famed for its stone age passage tombs, near to where she grew up. Nicola signed with US based Trace Literary Agency in 2016. December Girl was picked up by Betsy Reavley at UK digital publisher Bombshell Booksin June 2017 and will be published 26 October 2017. She is an avid reader, inspired by the likes of Anais Nin, Joan Didion and Jessie Burton and is currently working on her second novel, also inspired by true events. She lives with her husband and two young daughters in Termonfeckin, Co. Louth. Sounds fabulous! I love it when you feel reluctant to let a character go when finishing a book. Doesn’t happen often but very special when it does!